It’s the last and final giveaway for Alli from Cupcake Diaries. Happy Birthday, Alli! Welcome to 30. 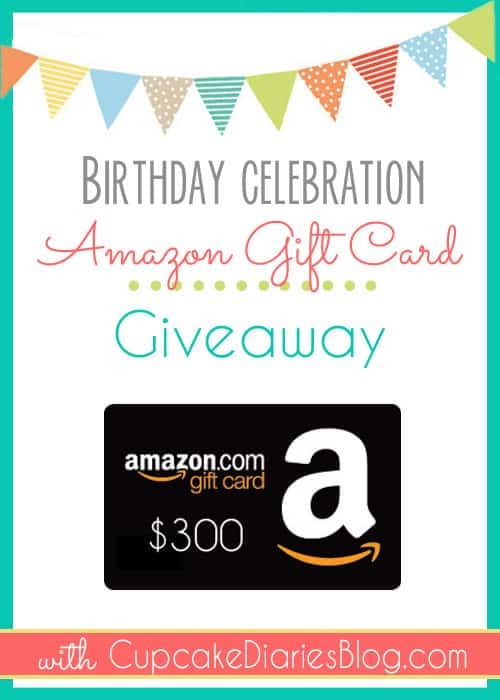 I hope you’re the lucky winner of this $300 Amazon Giftcard. 'A Few of My Favorite Healthy Things' GIVEAWAY!